As guys we realise the importance of taking care of our bodies. If we look after ourselves it shows, and when the stress of modern life intervenes we might reach for a multivitamin! What if The Grooming Guide told you about a range of specifically targeted dietary supplements that got results? 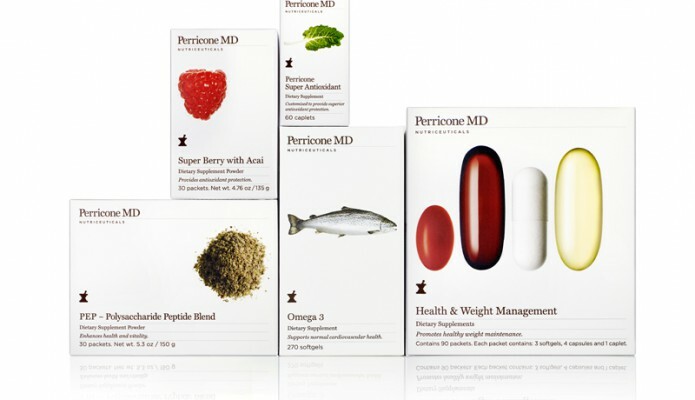 Founded in 1998 by Dr. Nicholas Perricone the Dr Periccone brand features a collection of exclusive, unique and highly efficient Cosmeceuticals that revolutionise anti-ageing, and also Nutriceuticals that work on a cellular level to help achieve health and beauty from the inside out. The aim of both: to keep us looking much younger than out chronological years! A sure fire winner is their Omega 3 is derived from Wild Alaskan Sockeye Salmon oil which is the purest and most powerful resource of Omega 3 and DMAE. Its the great multitasking health and beauty supplement and can tackle a range of concerns from loss of skin radiance to brittle hair.